Hope your ready to get this party started. 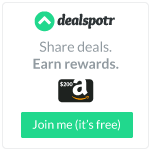 I can’t wait to see all your inspiration crafts, creativity, DIY s, beauty and fashion and recipes! I’ll been tweeting and pinning this week and will continue to share your posts. If you missed last week’s craft and creativity party you can find the party #110 here. Hope your ready for this week’s Inspiration Spotlight Party. #Craftsy Fall Sale 50% off all Online Classes! Nothing says fall like a fun woodsy project! 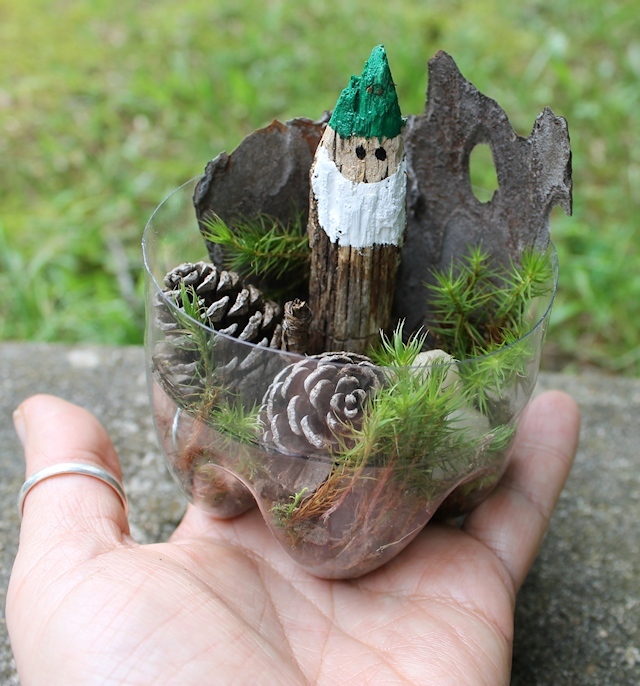 Make this Gnome in a Cup DIY your self or with the kids. Add it to your fall decor or have a kids party and use this as a favor project. This project was shared by Our Peaceful Planet. Sherri at Luv a bargain shares this yummy breakfast cookie recipe. Perfect for those of you who need a grab and go recipe! Or just to make and enjoy with your favorite beverage. 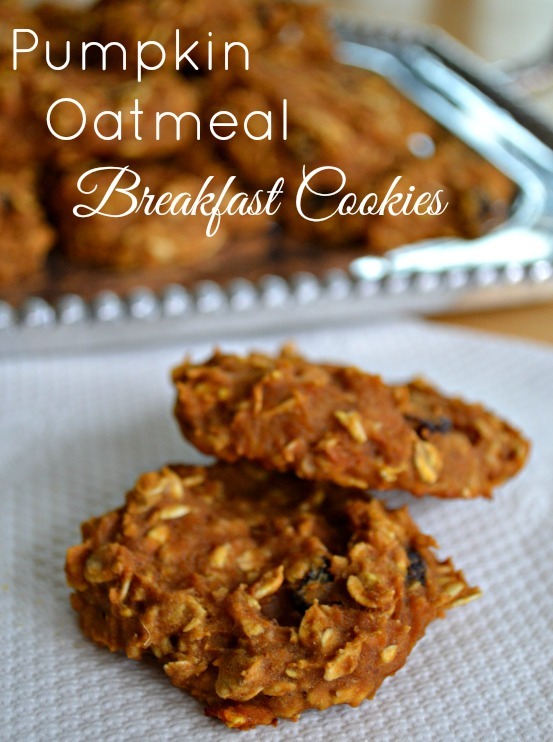 Be sure to grab this fall breakfast cookie recipe. This Dark Chocolate Peanut Butter Cup Cupcakes recipe was shared by Tackling Life and can be made without the peanut butter cups if you like. This is an easy baking recipe anyone can whip up! Abby shared five diy projects you can do with wool sweaters. This will have you running to the thrift store to grab some more for all the projects. There is this Coffee Travel Mug Cozies DIY, Candle Cozy, Wool Garland and a Suet Holder. Sharpen your scissors, get cutting up sweater and have some fun with her DIYs over on Satisfaction Through Christ. There was too many Inspiration Spotlight shout out’s this week to list them all & pins! 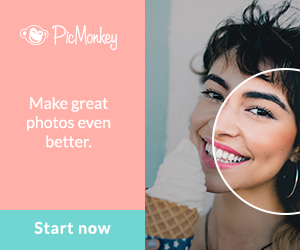 « All Fall Online Workshops Up to 50% Off #DIY #Photography #Food #Crafts 500 Choices!! Hi Theresa! Thank you so much for hosting the party! I hope you have a great weekend! Hi Mindi, Thanks for coming to the party! Thank you and hope your weekend is lovely! Hi Winnie, Thanks for coming & wishing you the same! First time visitor here. 🙂 Thanks for the party and have a great weekend! Hi April, Glad you stopped by and great to have you. Hi April, Thanks for coming to the party! Glad to have you stop by and hope to see you again soon. I am crazy about that little gnome in a cup! OMGoodness! My granddaughter would LOVE making one of those! Hi Joyce, Glad you like it and those were my exact thoughts. Have fun making them with her! I have a full board of fairie and gnome crafts on Pinterest btw. Thanks for stopping by!